Wright County Historical Society (WCHS) purchased six PEM2 data loggers to help staff continually monitor and track environmental changes in gallery, storage and library spaces at the Wright County Historical Society. Do flag controversies linger after 150 years? Battle of Gettysburg Civil War soldiers' Minnesota connections. How does your organization respond to sensitive issues? What's your opinion on celebrity house museums? Reiman Gardens, Iowa State University, Ames IA, seeks Program Assistant I (Events Coordinator). Deadline: July 11, 2013. Hamilton County S.E.E.D., Webster City IA, seeks Economic Development Director. Deadline: July 12, 2013. Minnesota State Arts Board, St. Paul MN, seeks Advisory Review Panel Coordinator. Deadline: July 15, 2013. Grout Museum District, Waterloo IA, seeks Rental & Event Coordinator. Carlton County Historical Society, Cloquet MN, invites the public to celebrate Independence Day with an indoor concert of patriotic and traditional music, exhibits, and gift shop sale. Open July 4, 2013, 9 a.m. to 5 p.m. Free refreshments. Call 218-879-1938 for more information. Washington County Historical Society, Stillwater MN, hosts historian Ken Martens for a discussion on medical practices during the Civil War, Sunday July 7, 2013, 2 p.m. at the Warden's House Museum. Contact Sean Pallas, 651-439-5956, for more information. Cokato Historical Society, Cokato MN, announces the opening of their newest display, "From Edison to iPod: Listen to the Music," Tuesday July 9, 2013. Call 320-286-2427 for more information. Maplewood Area Historical Society, Maplewood MN, hosts author Joel Arnold, who will speak about his book "Ox Cart Angel," July 10, 2013, 7 p.m. Free. Hiawatha Valley Civil War Roundtable, Winona MN, hosts historian Matt Hutchinson, who will speak about the experiences of four Union soldiers in "Gettysburg Vignettes," Winona County Historical Society History Center, Thursday July 11, 2013, 7 p.m. Free. Northfield Historical Society, Northfield MN, presents a talk by Jim Stark, who will discuss "Gettysburg Campaign, the High-Water Mark of the Confederacy," Thursday July 11, 2013, 6 p.m. This is the third talk in a series commemorating the 150th anniversary of the Civil War. Call 507-645-9268 for more information. Winona County Historical Society, Winona MN, hosts a Storytelling Event on July 11, 2013, 4 p.m., Entertainment Tent, Winona County Fairgrounds, Saint Charles MN. Share your memories of the Winona County Fair. Call 507-454-2723 for more information. Anoka County Historical Society, Anoka MN, invites the public to view their newest exhibit "All for the Union: Anoka County Faces the Civil War," Saturday July 13, 2013, 10 a.m. to 4 p.m. at the history center. Free. Call 763-421-0600 for more information. Nicollet County Historical Society, St. Peter MN, invites children ages 5-10 to bring their American Girl doll (or other favorite doll) and an adult friend to a tea party at the Cox House, Saturday July 13, 2013, 11 a.m. to 1 p.m. Tea and sandwiches will be served. Cost: $15/one child and adult. Attire: Finest tea party clothes. Seating is limited; contact Susan Carlin, 507-382-5162, for more information or to register. Schroeder Area Historical Society, Schroeder MN, hosts the 9th Annual Edwin Lundie Vacation Home Tour, July 13, 2013. Tickets: $150/person, includes tour and sit-down dinner. Call 218-663-7706 for more information or to make reservations. LeDuc Historic Estate, Hastings MN, hosts the New Pearl Buttons and Friends band, Sunday July 14, 2013, 1 p.m., St. Luke's Episcopal Church, Hastings. Hear historic music the LeDuc family would have listened to, including two original songs written by William LeDuc. Call 651-437-7055 for more information. Maplewood Area Historical Society, Maplewood MN, hosts "Vintage Vehicles and BBQ Day," July 14, 2013, 11 a.m. to 3 p.m. Free admission. Nicollet County Historical Society, St. Peter MN, invites the public to visit the Harkin Store, New Ulm MN, for an "Afternoon of Leisure," Sunday July 14, 2013, 1-4 p.m. Call 507-934-2160 for more information. Anoka County Historical Society, Anoka MN, is recreating a Civil War-era Soldiers' Aid Society to benefit modern troops. Bring a food or monetary donation to ACHS at Riverfest or any time before July 15, 2013, and drop it off with the ladies at the Soldiers' Aid Society booth in the History Center. Call 763-421-0600 for more information. Minnesota Military Museum, Camp Ripley, Little Falls MN, will host a family-friendly Ice Cream Social and Book Sale, Tuesday July 16, 2013, 5-9 p.m. Call 320-616-6050 for more information. Stearns History Museum, St. Cloud MN, presents "From Wasioja to Washington," a documentary about Civil War soldiers from Wasioja and Dodge County MN, Tuesday July 16, 2013, 6:30 p.m. Free, Call 320-253-8424 for more information. Stearns History Center, St. Cloud MN, hosts Bill Morgan, who will facilitate a roundtable discussion of the Great Depression in Stearns County, Wednesday July 17, 2013, 6:30 p.m. Call 320-253-8424 for more information. Kandiyohi County Historical Society, Willmar MN, hosts author Biloine (Billie) Young, who will speak about her book "The Dutiful Son: Louis W. Hill, Life in the Shadow of the Empire Builder, James J. Hill," Thursday July 18, 2013, 7 p.m. Call 320-235-1881 for more information. St. Louis County Historical Society, Duluth MN, hosts Judge John DeSanto, who will present "The Glensheen Murders: Over 36 Years of Mystery & Intrigue," Thursday July 18, 2013, noon to 1 p.m. Call 218-733-7568 for more information. Winona County Historical Society, Winona MN, offers Pioneer School day camp sessions July 22-24 and 29-31, 2013, 9 a.m. to noon, for children ages 6-12. Sessions will be held in the Little Red Schoolhouse, the old Gainey School, at the Winona County Fairgrounds, St. Charles MN. Cost: $20/nonmembers; $17/WCHS members. Call 507-454-2723 x0 to register. National Park Service will host a free webinar about the Federal Historic Tax Credit program, July 11, 2013, 2-3 p.m. ET. Webinar is intended for first-time applicants or others who are interested in a basic program overview. Registration limited to 100 participants. More information and registration online. The George Washington University's Distance Education Graduate Certificate Program in Museum Collections Management and Care application deadline is August 1, 2013. Contact Mary Coughlin for more information. National Endowment for the Humanities offers Positions in Public Humanities, which are now part of the America's Historical and Cultural Organizations (AHCO) grant program. Deadline for applications: August 14, 2013. Minnesota State Arts Board offers two free one-hour webinars to help applicants prepare to apply for the Arts Tour Minnesota grants program. Session dates: Friday July 12, 2013, 10 a.m.; Monday July 15, 2013, 5 p.m. Register online. Lowe's Community Partners grant program provides monetary assistance to non-profit organizations and municipalities looking for support of high-need projects such as building renovations/upgrades, grounds improvements, technology upgrades, and safety improvements. Deadline: July 30, 2013. National Endowment for the Arts offers Art Works grants. Deadline: August 8, 2013. National Endowment for the Humanities offers America's Historical and Cultural Organizations: Planning Grants. Deadline: August 14, 2013. Minnesota State Arts Board announces that applicants may begin submitting FY 2014 Cultural Community Partnership grant applications. Deadline: Friday August 16, 2013 before 4:30 p.m.
Minnesota Digital Library has announced that they are accepting applications for Phase 10 digitization projects. Applications will be accepted until funding is exhausted. Historical and Cultural Society of Clay County, Moorhead MN, announced that their July Board Meeting has been rescheduled from July 17 to July 24, 2013, 4 p.m. at the Hjemkomst Center. Call 218-299-5511 for more information. Mike Brubaker, executive director at Sherburne County Historical Society, Becker MN, is developing a program about unique resources for family history or genealogy research in greater Minnesota. If you are willing to share information about unique family history resources in your organization, contact Mike Brubaker, 763-262-4433. North House Folk School, Grand Marais MN, offers a ten day gun-making class with Duluth gun maker Brent Gurtek, September 19-28, 2013. Contact North House Folk School, 888-387-9762, for more information. As examples to the community for proper care and treatment of historic resources, historical organizations repair rather than replace windows, as seen here on the Proctor Area Historical Society's future museum. The public looks to local history organizations for examples on how to care for their own property and family treasures. 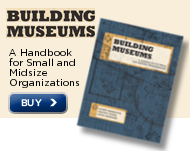 It is an awesome responsibility to uphold museum and historic preservation standards. This new museum will open on August 8, 2013. Photo courtesy Proctor Area Historical Society. The Architecture of Edwin Lundie, by Dale Mulfinger.